There are occasions member name to be removed from a ration card in which Kerala Civil Supplies Department approves two instances - due to death of a member or name has been included in another ration card for some reasons. This application form is intended only to use these two occasions. 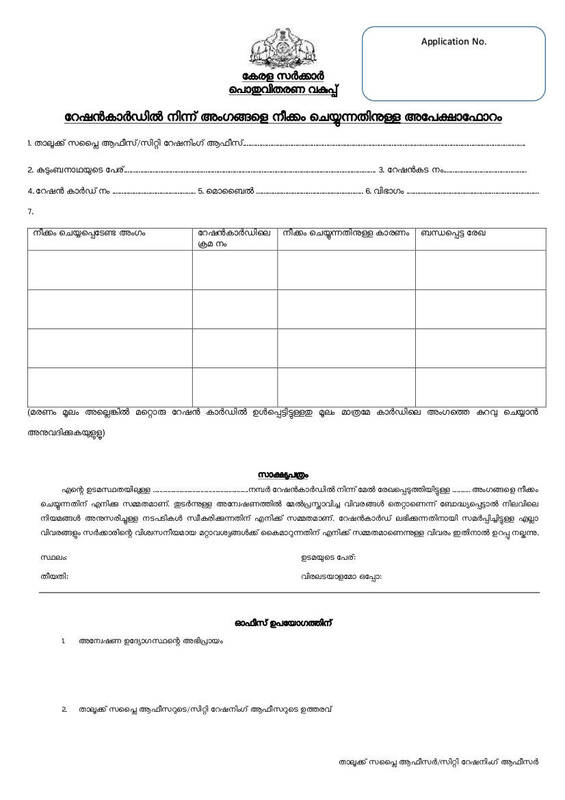 Download and print "Application Form for Removing Members from Existing Ration Card in Kerala", print and fill the necessary details then submit to concerned TSO / CRO along with supporting documents like death certificate or evidence of the name included ration card.